Abrakadoodle Trial Class for child between 20 months to 12 years old! 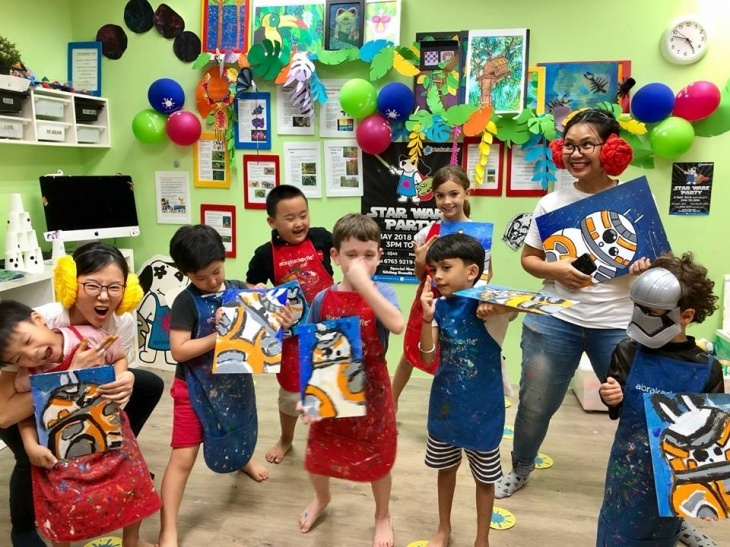 Abrakadoodle is all about creativity for kids, which since it was founded in 2002, has delivered the very best in visual arts classes for kids, summer art camps, holiday art camps, art parties and art events to more than one-million children in schools, community sites and Abrakadoodle art studios for kids around the world! At Abrakadoodle, we strive to spark kids’ imaginations while they think, create, discover, problem solve and build confidence. We want these kids to grow up to be creative adults who invent, imagine and communicate in fresh new ways. We bet you do too! Doodlers develop new skills and talents while designing unique creations using a variety of wonderful materials. Each Elementary School Art Class focuses upon developing skills, learning techniques and expanding self confidence. Mini Doodlers gleefully create their own masterpieces using a wide range of quality art materials. Mini Doodlers in our Preschool Art Classes develop skills important for school success such as fine motor skills, language, cognitive skills and the ability to listen and follow directions in our enchanting environment. This special parent/child class is a highly recommended first Toddler Art Class. Twoosy Doodlers develop their sensory skills as well as fine and gross motor skills. They learn about color, texture and more while experimenting with new, engaging materials. Book a trial with us today! Our friendly teacher will call you to schedule your trial class within 3 working days after payment. 1) Valid for first-timer & non-member only. 2) Every child will be entitled to 1 time usage/single redemption only.